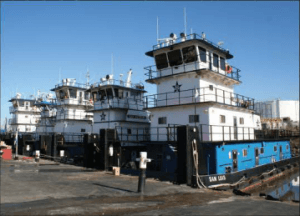 SIMPLAN is the Number 1 selling seal for water lubricated sterntubes on the US Inland Waterways. 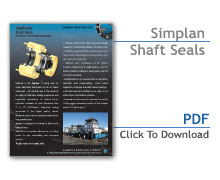 The SIMPLAN seal is the result of 50 years of sterntube sealing experience and innovative combination of state-of-the-art materials: available for shaft diameters from 2″ to 13″ (50-320mm). Exhaustive testing procedures a the highest quality control standards ensure the best quality product at the best possible price. Simplan is designed in Germany and built in the United States. SIMPLAN is the modern alternative to stuffing boxes for your new building and conversion projects. Tough seals for tough jobs. Why SIMPLAN Stern Tube Seals? 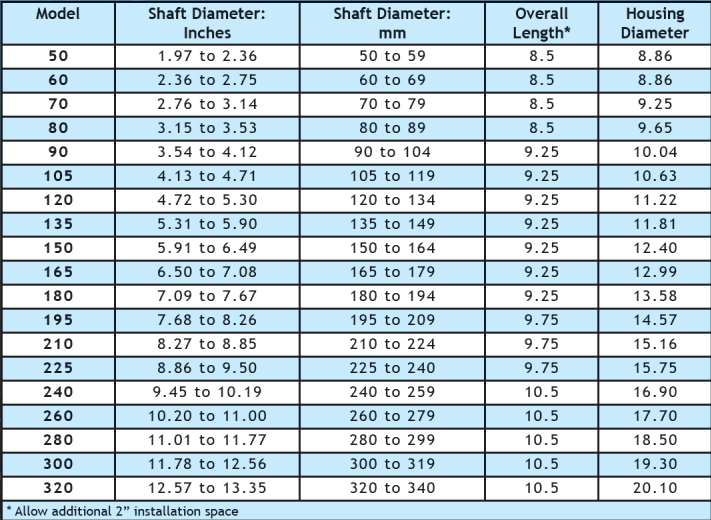 SIMPLAN prevents the shaft-wear and damage caused by conventional systems. No more time-consuming, expensive shaft work necessary = less time in dock. These huge cost savings mean a very fast return on investment. 51MPLAN seals’ combination of SiC (Silicon Carbide) sealing faces is unaffected by even the hardest sands or sediments, giving many years of wear-free operation. 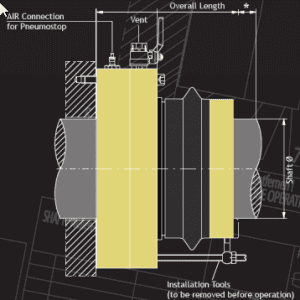 Simplan seals are are supplied with an emergency stand-still seal (Pneumostop), which allows inspection of the seal and shaft without docking. SIMPLAN Seals are certified by GL, ABS, LR, Et other major Classification Societies. Hundreds of boat owners Et operators can testify to the rugged commercial quality of the Simplan seals. Fit it and forget it. Simplan seals are supplied from stock in the United States. 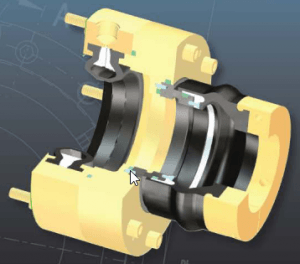 The clam ring holding the rotating elements onto the shaft will be machined to the precise shaft diameter within hours and the seals are then shipped. If required, an adapter flange can also be supplied to interface with any stuffing box bolt pattern specified. Installation is completed within a very short time – minimizing downtime and costs. No specialized technician is required for installation, but if required we have technical staff available throughout the country ready to help at a moments’ notice. To order Water-Lubricated Stern Tube Shaft Seals please contact Simplex Americas.